Any time a new iPhone debuts, it makes worldwide news, but there is a sizable audience that’s equally interested in new Android smartphones. 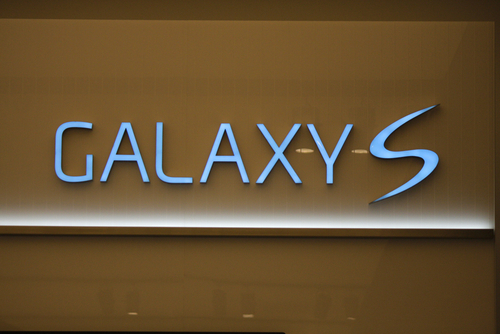 Samsung’s Galaxy line recently debuted its newest member, the S5, at an event in Barcelona. Al Sacco of CIO reported on the new specifications and features. The Galaxy S5 is bigger than its predecessors, which was expected. It outweighs the GS4 by 15 grams. It’s also slightly taller, wider and deeper. The additional size and weight is partly attributed to a larger battery, which is 2800 mAh compared to 2600 mAh for the GS4. The display on the S5 is also bigger, but not by much. At 5.1-inches, it has only gained 1-tenth of an inch on the previous Galaxy smartphone. Otherwise, not much has changed. There’s still a full HD Super AMOLED display at 1920×1080. The display on the new S5 is regarded as brighter at the highest setting, however. Other manufacturers have made a 64-GB storage option for their newest, top of the line smartphones. The Galaxy S5, however, only has a 16-GB and 32-GB model. It does support external memory cards up to 64-GB. The processor is where the S5 received the biggest upgrade. Inside, you’ll find a blazing fast 2.5 GHz quad-core processor as opposed to the 1.6 GHz chip found in the S4. The camera on smartphones has become just as important as any conventional phone features. The Galaxy S5 features one of the best camera you’ll find with a front facing 2.1 MP camera and a 16 MP rear camera. As with any Samsung smartphone, there are also new camera features to play with. In the S5, there’s reportedly the fastest auto-focus in any smartphone and a tool to focus on one specific part of a photo and blur the rest. The Galaxy S5 follows in the footsteps of the latest iPhones to offer biometric security. A fingerprint scanner is included in the home button to help secure your phone, but you’ll have to actually swipe your finger, rather than just holding it to the sensor. Samsung is also making an effort to include features on their phones that are typically found in increasingly popular fitness bands. As part of their included S Health app, a heart rate monitor is built in to the smartphone. There’s also a power saving function that everyone needs from time to time. Ultra Power Saving Mode disables non-essential functions in situations when you can’t afford for your phone to die, but the battery is critically low. Finally, Samsung introduced Download Booster, which claims to allow WiFi and your LTE connection to work together to produce better download speeds. There are sure to be plenty of additional testing and features revealed ahead of the Galaxy S5’s official release on April 11th. In the meantime, whether you have the latest smartphone or an older model, Geek Rescue has you covered when something breaks. For hardware damage, malware infections and more, call Geek Rescue at 918-369-4335. Over the weekend, Apple released an update to its mobile operating system, iOS. Version 7.0.6 for iOS 7 devices and 6.1.6 for iOS 6 devices were seemingly rushed out to fix a bug that put users’ data at a significant risk. At Gizmodo, Brian Barrett explains why iOS users should update their devices as soon as possible. The bug, or security vulnerability, that Apple is now attempting to fix involves a flaw in the operation of SSL, which stands for Secure Sockets Layer. Using SSL allows for private and secure communications between your web browser and the servers it need to communicate with to access different websites. When you see the small lock icon appear in your browser’s address bar, that means that SSL is functioning and securing your connection to the site you’re currently on. Without SSL, everything you send to a server and receive back is up for grabs. SSL verifies that your browser is contacting the correct server for the website it’s displaying, but the Apple bug prevents that from happening. This opens the door for what’s called “man in the middle attacks”, which refers to a third party intercepting data intended for someone else. So, your log-in credentials for any online account you have, payment information for an online purchase, emails and a number of other potentially costly possibilities can all be stolen and monitored by criminals. The vulnerability affects not only browser Safari, but also Calendar, Facetime, Keynote, Twitter, Mail, iBooks and more. Any time you’ve used one of these apps on an unsecured network, which could be anything from free WiFi in a coffee shop to the network at your job that doesn’t require a password, all the data you’ve accessed and submitted could have been intercepted. This flaw has an update for devices dating back to the iPhone 3GS and fourth generation iPod Touch. Any devices older than that likely won’t have an update available to fix the problem. This is also an issue for Mac users with the OS X operating system. While there’s a known vulnerability for Macs, there isn’t currently a patch or update to fix it. While exploits of this vulnerability only recently began being spotted, the SSL flaw has been in both iOS and OS X since September of 2012. For the past year and a half, data has been available through a fairly simple exploit on one of the most popular mobile devices. If you haven’t already updated, do so now. 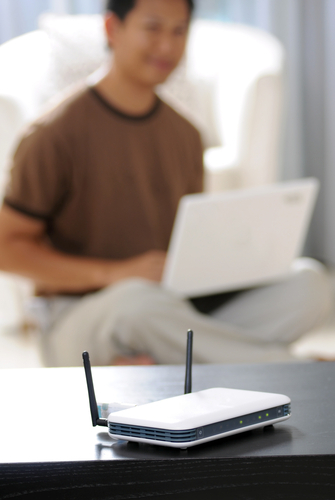 If there isn’t an update available for your device yet, avoid using the affected apps on any unsecured networks. 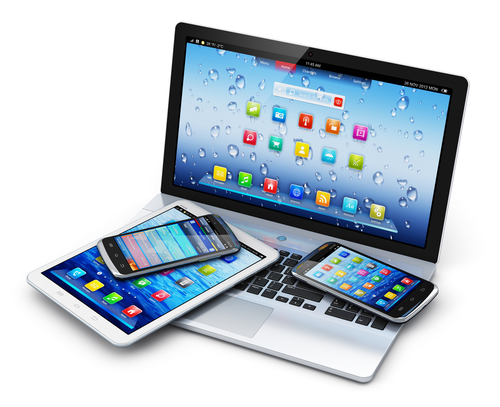 Security vulnerabilities are a serious concern for any device. If you’ve experienced an attack and have a device infected with malware, or want to explore additional security options, contact Geek Rescue at 918-369-4335. 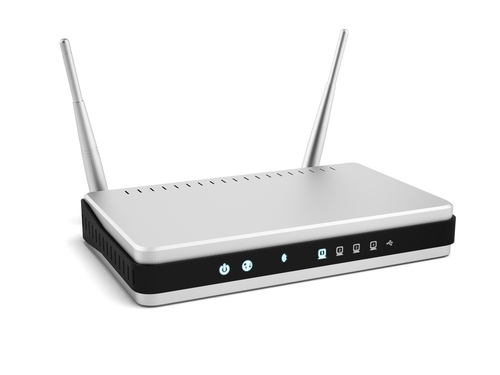 A DDoS attack, or Dedicated Denial of Service, interrupts the service a website or network is able to offer, usually by overloading servers with communication requests. In basic terms, the attackers send so much fake traffic to a server that it can’t function normally. As Zeljka Zorz reports for Net-Security, one recent DDoS attack used previously unknown methods to take down more than 300 domains. The target of the attack was Namecheap, a web hosting service and domain registrar. The fact that a hosting company was the target of an attack isn’t noteworthy. Namecheap has a platform spread across three continents and claims that their infrastructure protects them against nearly daily DDoS attacks. This most recent and successful attack was bigger and different than any previous attempts, however. After overwhelming DNS servers, performance became sluggish or completely unavailable for more than 300 of their hosted domains. Namecheap estimates the attack to be over 100 gigabits per second, which refers to an extremely high data transfer speed. While other attacks have been observed at 300 or even 400 Gbps for a brief time, the DDoS attack against Namecheap is still considered one of the largest in history. It would have to be to overwhelm such a large scale operation. Even for a company with a robust security infrastructure and planning in place, this attack knocked them offline for about three hours, which usually equates to thousands of dollars in lost revenue for the affected domains. 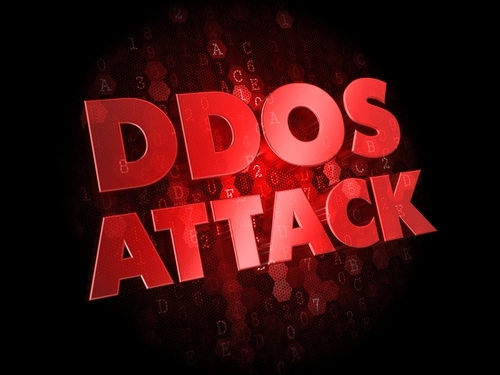 DDoS attacks have been growing more common recently and have also improved their tactics. Reflection attacks, which allow for the exploitation of vulnerable servers to multiply the scale of an attack, have grown in popularity and made DDoS attacks more successful. Specific details of the Namecheap attack have not been released, but from the description, it seems that another new tactic has surfaced. If a company like Namecheap is vulnerable to DDoS attacks, every company has reason to worry. For help improving your company’s security infrastructure, call Geek Rescue at 918-369-4335. Nearly every day, news stories are written about security vulnerabilities being patched or exploited. Most users believe that if they keep their applications updated, they’ll be safe from attacks. While it’s true that regular updates do eliminate some vulnerabilities in applications, they don’t take the possibility of a successful attack away completely. As Mark Wilson reports for Beta News, security firm Cenzic recently published its Application Vulnerability Trends Report and found that 96-percent of all applications contain security issues. Not only does nearly every application being used have security flaws, but also the media number of flaws per application is 14. So, it’s likely that even up to date, well-patched applications still have vulnerabilities that would allow for successful attacks. The good news is that this grim news is actually an improvement over last year’s report. In 2012, 99-percent of tested apps displayed security flaws. However, the media number of flaws per application was 13. 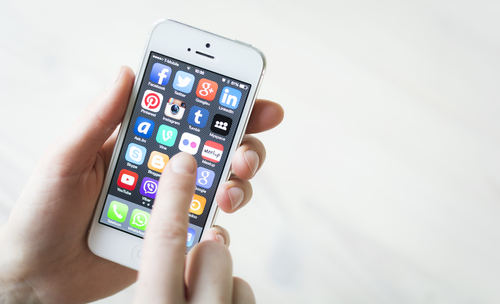 Mobile users specifically also have the concerns of what downloaded apps are allowed to access. Cenzic found that 80-percent of mobile apps had excessive privileges, which means they’re able to access data they shouldn’t need or are capable of controlling features they shouldn’t be able to. The takeaway for users is that even a well-secured network, computer or mobile device can be undone by an insecure application. For example, many of the attacks on Apple devices stem from apps with vulnerabilities that have been added to an otherwise secure environment. These vulnerabilities open the door for attackers to access data and remotely control devices. For businesses, this means that a renewed investment in security is likely needed. If applications your company regularly relies on are likely to contain security vulnerabilities, data needs to be protected in other ways, like encryption. This also introduces concerns about employees bringing their own devices into the workplace. Apps on those devices that aren’t even used for business could contain flaws that allow attackers onto your network. To find out how to better protect your data, call Geek Rescue at 918-369-4335. The year 2001 may not seem that long ago to some, but for Microsoft, it was an eternity ago. Windows XP launched in October of 2001 and since then, Microsoft has moved on to three more operating systems, Windows Vista, 7 and 8. In April, support for Windows XP will end and users will be left to choose between upgrading to a newer operating system, or using one with no hope of bug fixes or security patches. At Information Week, Jeff Bertolucci published a list of what XP users need to know ahead of the April expiration date and what they should be thinking about. Just because Microsoft will no longer support XP, it doesn’t mean that your computer running XP will no longer work. The only change will be that Microsoft won’t be releasing updates. That means newer devices won’t be compatible with XP machines. It also means you’ll become more vulnerable to attacks as vulnerabilities are uncovered but unpatched. Lost in the news of XP’s end of support is the end of support for both Office 2003 and Exchange 2003. Online content, security updates and bug fixes will no longer be released for these popular applications after April 8th. If you’re unsure of what version of Office you’re using, go to the ‘Help’ menu in Microsoft Word and select “About Microsoft Office Word”. Microsoft Security Essentials is far from a complete malware protection program, but Microsoft won’t be continuing updates for Security Essentials on XP until July of 2015. That, in addition to an up to date antivirus program, will help keep you more secure even after the XP updates cease. If you decide to update to Windows 7, there’s an XP mode to help make the transition easier. This allows you to run applications designed for XP effectively. A separate window will open on the desktop, which will be a fully functional version of XP. There’s one catch, however. XP mode also will stop getting support in April. It will still be available, but it won’t be getting updates and patches. The hesitation for many users in upgrading their operating system is a concern that programs they consistently use won’t be compatible with a newer version of Windows. Microsoft has publicly stated that they can’t guarantee that programs that ran on XP will work in Windows 7 or 8. There is, however, a troubleshooting tool to help you adjust an application’s settings to make it work. To access the tool, right click on the program’s icon and select “troubleshoot compatibility”. Hard drive space has increased exponentially since the days when Windows XP ruled the world. Now, Windows 8.1 requires at least 16 GB of free space for 32-bit systems and 20 GB of free space for 64-bit systems. This free space is allocated for updates. If you’re planning to upgrade from XP to 8.1, you’ll have to make sure you have enough space on your hard drive to make it work. If you need help upgrading your personal computer or an entire office of XP machines, or if you have computer issues that extend beyond an out-dated operating system, call Geek Rescue at 918-369-4335. A broken screen on your smartphone is frustrating and can be a costly fix. Unlike other damage to your phone, a broken screen often means your phone is completely inoperable. As Shawn Knight reports for TechSpot, HTC smartphone owners will soon be protected when their screens shatter. 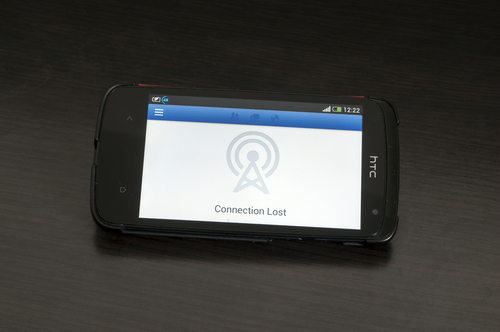 HTC that they will replace broken smartphone screens at no additional cost to their users. There are some catches, however. Most notably, this insurance policy only lasts for 6-months from the time you purchase your phone. With many users keeping their smartphones for about 2-years, this leaves a lot of time uncovered. Also, this is not a retroactive policy. Anyone who bought an HTC smartphone before today won’t be able to get a free fix for their broken screen. In fact, at the moment the offer is only good for HTC One, One Mini and One Max smartphone purchased today or later. In addition to the coverage for broken screens, HTC’s new program, called HTC Advantage, also outlines how long users will receive support for their chosen smartphones. For example, those with an HTC One will receive updates and patches until 2016. There’s also more cloud storage available. If you’re planning to buy a new smartphone soon, this news may sway your decision. Unfortunately, there have been no reports that similar programs are in the works for other major providers. If your smartphone sustains any type of damage that isn’t covered by insurance, Geek Rescue has you covered. Bring your broken devices in to one of our locations or call us at 918-369-4335.